The definitive biography of this brilliant polymath–director of the National Gallery, author, patron of the arts, social lion, and singular pioneer of television–that also tells the story of the arts in the twentieth century through his astonishing life. Kenneth Clark's thirteen-part 1969 television series, Civilisation, established him as a globally admired figure. Clark was prescient in making this series: the upheavals of the century, the Cold War among others, convinced him of the power of barbarism and the fragility of culture. He would burnish his image with two memoirs that artfully omitted the more complicated details of his life. Now, drawing on a vast, previously unseen archive, James Stourton reveals the formidable intellect and the private man behind the figure who effortlessly dominated the art world for more than half a century: his privileged upbringing, his interest in art history beginning at Oxford, his remarkable early successes. At 27 he was keeper of Western Art at the Ashmolean in Oxford and at 29, the youngest director of The National Gallery. During the war he arranged for its entire collection to be hidden in slate mines in Wales and organized packed concerts of classical music at the Gallery to keep up the spirits of Londoners during the bombing. WWII helped shape his belief that art should be brought to the widest audience, a social and moral position that would inform the rest of his career. Television became a means for this message when he was appointed the first chairman of the Independent Television Authority. 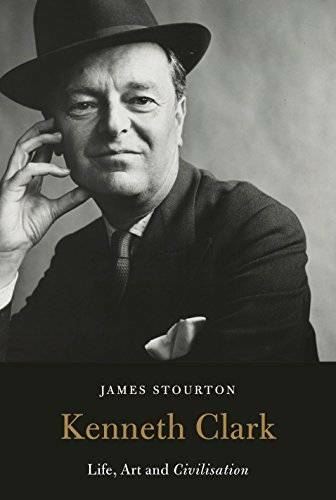 Stourton reveals the tortuous state of his marriage during and after the war, his wife's alcoholism, and the aspects of his own nature that he worked to keep hidden. A superb work of biography, Kenneth Clark is a revelation of its remarkable subject.